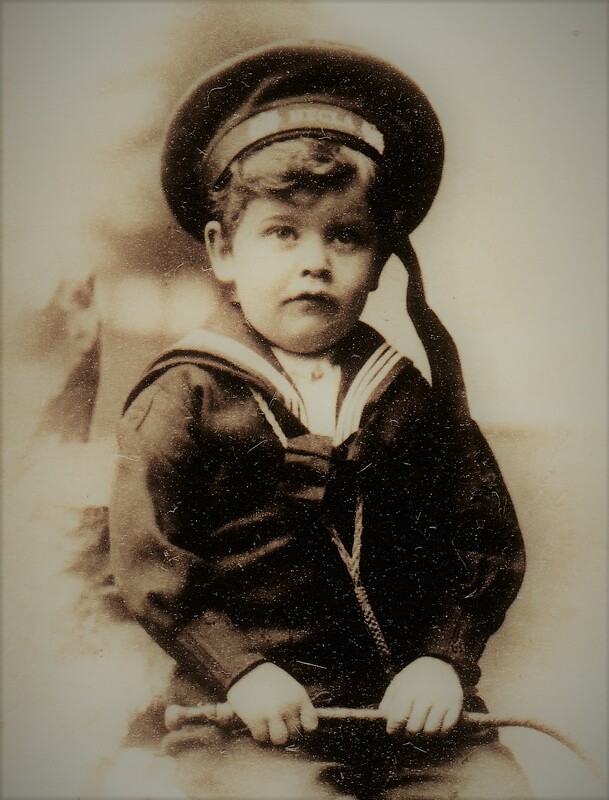 Arthur George Linfield was born in Worthing on 18 August 1885, eldest son of Arthur George and Edith Mary Linfield, who were married in 1883. His father was one of the Worthing pioneers of fruit growing under glass, and his mother, Edith was a daughter of a well-known fruit grower in Lancing, Frederick Young. The Linfields were to have seven children in all, five sons and two daughters. They were staunch Wesleyan Methodists and brought up their family in a strong Christian tradition. ‘On Monday a little boy and girl, children of Mr A.G. Linfield, market gardener, were crossing Chapel Road, when they were knocked down by a horse and carriage driven by one of Mr Stent’s cabmen. 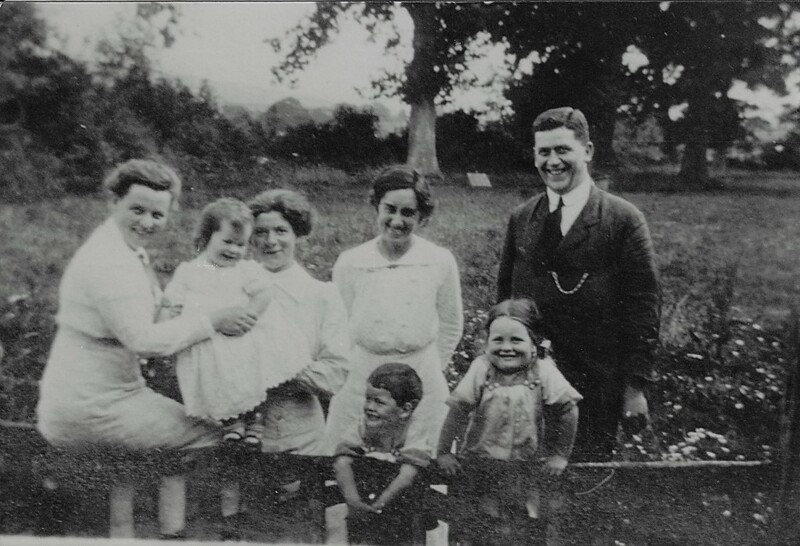 The little girl – Edith Linfield, aged about six years – had one of her arm’s broken, while the little boy – Arthur Linfield, between four and five years of age – escaped with a few bruises’. One of Arthur’s earliest memories went back to the Worthing typhoid epidemic of 1893, when he recalled how his father, one of the East Preston Guardians, drove around in a horse-drawn cab, carrying blankets and helping to convey patients from their homes to the temporary hospital at the ‘Hollies’ in Worthing High Street. Arthur also remembered being sent by his mother to fetch clean water from the portable water tanks put up in the streets because the mains supply was polluted. He said it was the example of his father, who devoted much of his life to the poor, which inspired him to engage in social work. Fig. 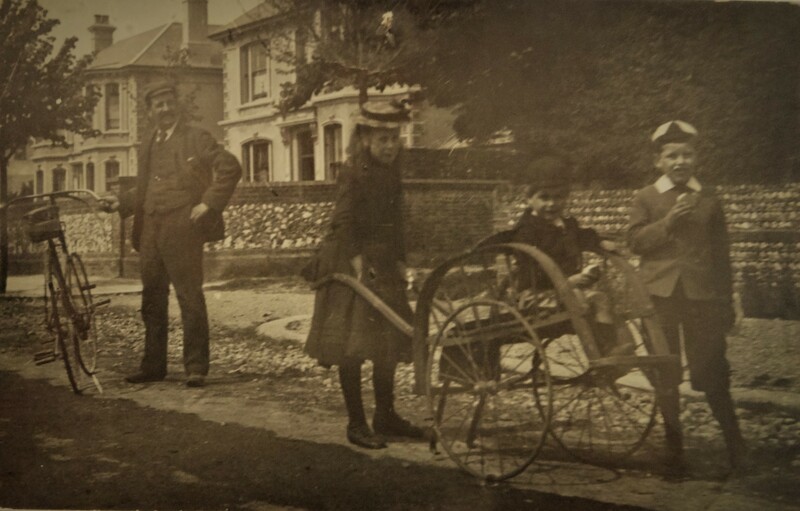 2: Taken in the early 1890s, at around the time of their road accident in Chapel Road, this image shows Arthur, far right, with his older sister Mary, their younger brother Gordon, sitting on the cart, and their father Arthur George senior, standing with his bicycle. The location is thought to be North Street, Worthing. Arthur spent the whole of his working life with the family growing business and never retired. He remembered how as a young boy he would stand on a market box in the packing shed to trim mushrooms. The business went from strength to strength and in 1896 his father built a new family home at the front of one of their nurseries in Chesswood Road. By 1908 there were a total of 40 employees working at three nurseries in East Worthing. Their main glasshouse crops were grapes, tomatoes, cucumbers and mushrooms, the latter grown as a catch crop beneath the grape vines in the Autumn and early Winter. The main advantage favouring the Worthing glasshouse growers was their ability to grow early, good quality fruit which fetched premium prices. Thakeham. It required a considerable amount of investment to make the farm viable, but determination and hard work soon paid off. A new granary and cattle shed were built at Town House Farm and, and with the added help of prisoners of war, the farm was gradually brought back into cultivation. A number of purpose-built mushroom house with thatched rooves were also erected, and in production by 1914. The upheaval of the First World War saw Arthur’s two youngest brothers, Harold and Wilfred, join up in September 1914. They were both sent to France in January 1915, but Harold was tragically killed at Aubers Ridge on 9 May 1915 and it took many months before his body was retrieved from the mud. The family were devastated. Arthur’s other two brothers, William and Gordon, also joined up, as did their sister Alice who became a nurse in the Queen Alexandra Imperial Military Nursing Service. Arthur stayed at home to help his father keep the business afloat so there would still be jobs for the others when they returned. Times were very difficult: the War Agricultural Committee was strict about the types of crops which could be grown, and most of the male workers had left to fight. Women had to be taken on to fill their places, and Arthur’s elder sister Mary acted as Instructor in the glasshouses. Arthur also served as a Special Constable in the town. After the war, trading conditions were very challenging for the Worthing growers and Arthur became involved in some of the local representative bodies. He initially became Vice-Chairman of the West Sussex branch of the Home Counties Market Growers’ Association in 1921, sitting on four of the eight sub-committees. He played an active role in fighting for the interests of the local growers, trying to find solutions to the challenges of fierce foreign competition in the aftermath of the war and seeking out ways to reduce costs. 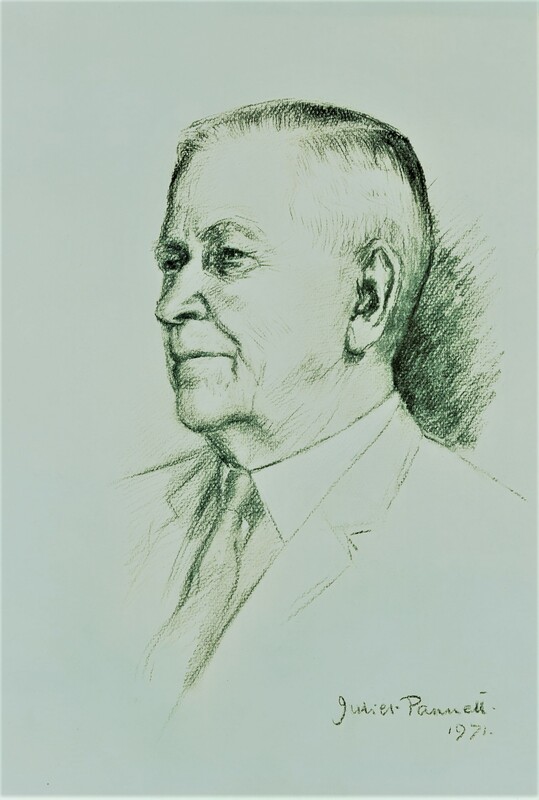 In 1926 the National Farmers’ Union formed a central committee for fruit, vegetables and glasshouses with Arthur Linfield Junior (as he was then known) appointed Chairman of the glasshouse sub-committee. Later in the year, Arthur visited the growers in the Lea Valley to promote the idea further, and in 1927 the growers of the Lea Valley and Worthing both joined the NFU. The Worthing branch became known as ‘National Farmers Union (Worthing and West Sussex Branch)’. Meanwhile, Arthur also took up a new post in Worthing with the Local Employment Committee, a role he held for 46 years, 43 as Chairman. One of the challenges facing the Worthing growers in the 1920s was the need to become more competitive, and reducing costs was an important way of trying to achieve this. Arthur and his younger brother Gordon were particularly interested in finding ways to reduce fuel costs, advocating the use of ‘central heating’ as a much more efficient and cheaper way to heat a glasshouse nursery than using the old and inefficient stokeholds. Arthur and Gordon patented their invention of a steam-injection calorifier in the system they chose to operate on their nursery in Ham Road. Arthur was a founder member of Worthing Rotary Club, and gave a number of talks to fellow Rotarians about the issues facing the Worthing growers, as well as an interesting potential solution to Worthing’s seaweed problem by harvesting the seaweed and then supplying it to the many growers along the south coast for its fertilising properties. As Chairman of Worthing Rotary Club in 1933 – the year in which the Queen Alexandra Home for Disabled Servicemen moved from Roehampton to Worthing – he helped to integrate and establish the Home in Boundary Road. He became Chairman of the League of Friends and in May 1939 he joined the Board of Governors. Locally known as Gifford House, Arthur was appointed Chairman in 1945, a position he held for the next 29 years. It was also during the 1930s that he started to get involved in hospital administration at Worthing Hospital, where his uncle, Frederick Caesar Linfield, had been a Life Governor in recognition of his fund-raising efforts for a hospital extension when he was Mayor of Worthing in 1906-08. His first role was Chairman of the old Worthing Hospital Contributory Scheme Council, and from 1939 to 1956, he was Chairman of the Worthing Hospital House Committee. After the introduction of the National Health Service in 1948, he became Chairman of the Worthing Group Hospital Management Committee and Chairman of the West Sussex (National Health Service) Executive Council. His most important appointment came in 1953 when he was appointed Chairman of the South West Metropolitan Regional Hospital Board, which controlled 53 groups of hospitals. He retired from this post in 1963. But his main love was always Gifford House, where he proved an effective and able administrator who steered the home through some very difficult financial challenges. The 1930s were, perhaps, the most challenging decade in Arthur’s life. In 1933 the family business went through a serious financial crisis which threatened its very survival. The 1920s were particularly hard for the Worthing growers, with more and more foreign grapes and tomatoes being dumped on the home market. Times were getting desperate and it was only in 1932 that the government finally agreed to impose an import tariff on tomatoes, to the great relief of the domestic producers. However, in July 1933 Arthur was informed by the bank that they were expecting a £1,000 reduction in the firm’s overdraft facility from a source other than income, which had been agreed in May. But they did not have the resources to settle it. Arthur resorted to sending a letter to his youngest brother, Wilfred, in which he pleaded for a loan of £500 so they could pay the wages bill for a couple of weeks. Wilfred had set up a building firm with a friend, and he was luckily in a position to oblige. Arthur expected to be able to pay him back fairly promptly, once the chrysanthemums and outdoor tomatoes had been fully harvested, and blamed the crisis on a poor strawberry crop. But this was a very close shave which could have destroyed the firm, and Arthur owed an enormous debt of gratitude to his brother for so readily agreeing to help. In the following year, they sold the Chesswood Farm Nursery in Worthing for building land, which consisted of nearly 10 acres. Undoubtedly, a major consideration must have been the need to raise funds. The old glasshouses were gradually dismantled and moved to Thakeham, and by the end of the decade Linfields’ no longer had a presence in Worthing. 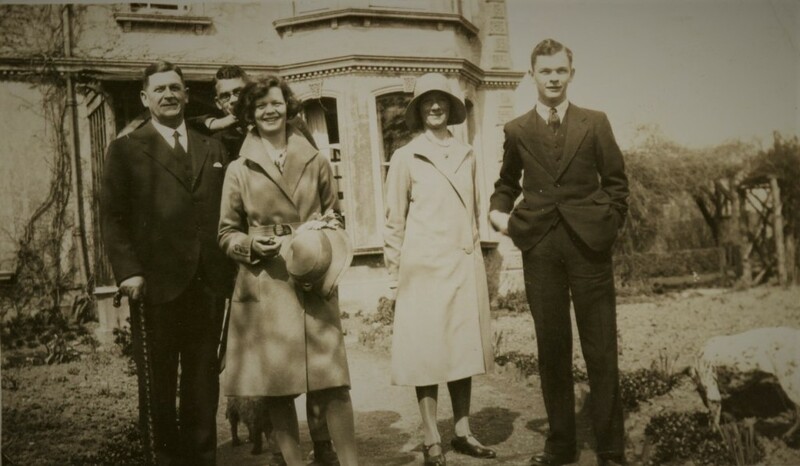 In 1933, Arthur and his family also moved to Thakeham, where they made their home at South Hill Farm. Arthur’s father died in June 1938, in effect making him head of the family business. Soon after the crisis, Arthur became involved in a new horticultural project to revive the Worthing grape industry. He became Vice-Chairman and Managing Director of a new limited liability company known as ‘Worthing Vineries Ltd’ which was located at Poling. With fellow horticulturists Sir William Lobjoit, the Chairman, and Gordon Leeney, the idea was to raise £75,000 to finance the new concern which had ambitious plans to build 10 acres of glass. By 1934, there were 44 glasshouses (of 200ft in length) full of tomatoes and 2,500 grape vines had been planted. Unfortunately, subscriptions to the share capital never reached the desired target, and the project failed to achieve its ambitious plans. Arthur resigned sometime before 1941, when Gordon Leeney took over as managing director. Despite debts of more than £30,000, Leeney managed to keep the business going for several decades, but the dream of reviving the Worthing grape industry never materialised. With a fellow member of Worthing Rotary Club, the Revd. Arthur Haviland, Rector of Heene, Arthur was also involved in setting up a new charity to alleviate poverty and distress in the town. As a direct result of the Great Depression, many local people were experiencing real hardship and desperately needed a helping hand. Despite a certain mood of apathy in the town (a common belief was that ‘surely things were not really that bad here in Worthing?’), Haviland and Linfield persisted and the eventual result was the creation of the ‘Worthing Council of Social Service’, founded in 1933. The prime purpose of the new organisation was to support people who were not receiving any other help, and to promote co-operation between different local bodies. In these formative years, the organisation was extremely fortunate to have the services of two other people who were central to the success of WCSS in its early years. 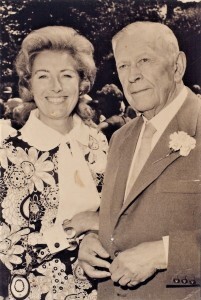 They were Ethel ‘Effie’ Methold, Honorary Secretary, who steered the organisation through the Depression and Second World War, and Frank Cave, editor of the Worthing Herald, who gave extensive coverage in his paper to the activities and campaigns of WSCC, and thereby ensured that it received the local support it required to keep going. Over time, the care objectives of the charity have shifted more to the elderly, perhaps not surprisingly because this has been the area where the needs have arisen. 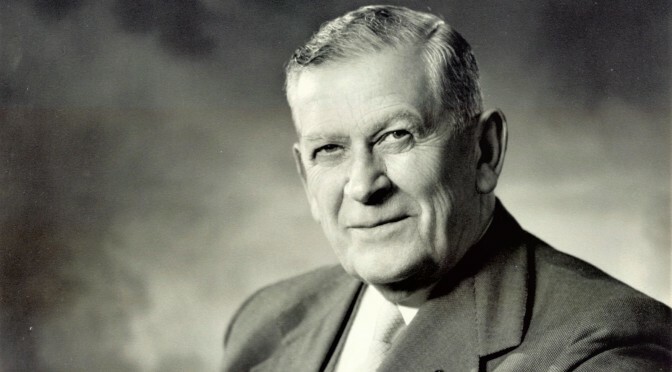 Arthur Linfield was President of WCSS from 1942 to 1974. Now known as Guild Care, it is one of the largest locally based charities in the South of England. The new Guild Care Home opened in Wykeham Road, Worthing in May 2006 was named ‘Linfield House’ in his honour. The outbreak of war in September 1939 brought enormous challenges to the farmers and growers in Sussex, as elsewhere in the country, to produce as much home grown food as possible to prevent serious shortages. The firm was incorporated in June 1940, becoming known as AG Linfield Ltd, and Arthur became Chairman. In 1940, he purchased the Oast House at Ashington and moved out of South Hill. Sadly, in July 1941, Lena, his wife of nearly 33 years, died from cancer at the age of 62. During the war, Arthur was responsible for a major re-structuring of the Thakeham business to meet the requirements of the war effort. In many ways, the outbreak of the Second World War provided a vital lifeline as the company geared up to play its part in the national strive towards self-sufficiency in food production. Before the war, much of the land was rented out to a local farmer but in 1939, the firm took back control in order to intensively cultivate their land. All sorts of vegetables were grown, although tomatoes were the most important crop throughout the war period. Some mushrooms were also grown, but they were not considered to be of much food value so production was severely curtailed. No doubt, those that were grown commanded premium prices. Arthur also became a committee member of the West Sussex War Agricultural Executive Committee, and hosted a visit to Chesswood Nurseries by the Minister of Agriculture and members of the WAEC in July 1943. The business was praised for its intensive cultivation of food, with an output eight times greater than before the war. Fig. 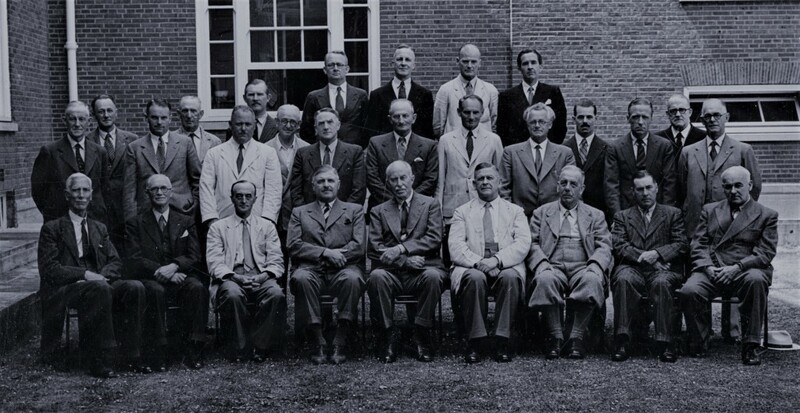 8: The West Sussex War Agricultural Executive Committee, 1949. Arthur is seated at the front, fourth from the right. It was during this period that Linfields’ most famous employee, Jomo Kenyatta, later to become the first President of Kenya, worked as a farm labourer on the princely sum of £4 per week. Arthur was interested in what he had to say for himself, and had him over for lunch on a couple of occasions. Kenyatta gave him a signed copy of his new booklet ‘My People of Kikuyu’ in 1942. In 1943, Arthur married Gwendoline Brown, Matron of Worthing Hospital, where he was the Chairman. 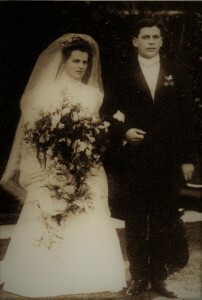 They settled at the Oast House in Ashington, and were happily married for 26 years before tragedy struck Arthur for a second time, when Gwendoline died from cancer in 1969. 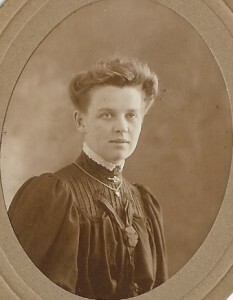 ‘Matey’, as she was known to the family, was very different to Arthur’s first wife Lena and many in the family found her difficult to warm to. She could be rather imperious, but she was a devoted wife to Arthur and supported him in all his activities. After the war, the family business needed a complete re-think in terms of the most profitable crops to grow, and Arthur encouraged a significant expansion of mushroom growing as the best way forward. Arthur had learned from the bitter experience of the 1930s that the growers who did something different, or in other words, who specialised, had a distinct competitive advantage because they became experts in their specialist crop. Tomato production was drastically cut back and many of the glasshouses were converted to mushroom growing. By obtaining the best advice then available from international experts and adopting the latest technology, Linfields’ were able to expand their production to levels previously unheard of. Initially, improvisation and the ingenious conversion of existing facilities seem to have been the order of the day. Glasshouses were covered with insulated panels or sheets containing glass-fibre, held down by wire netting and wooden lathes. The metal frames of old army beds were used to create a three-tier system of shelving to carry the mushroom beds in the houses (there would have been an enormous surplus of these immediately after the war) whilst the supports came from Worthing’s sea defences! They also still had the old growing houses where the mushroom beds were made up along the floor. The adoption of new cultural methods and a sophisticated system of mechanisation in the Fifties revolutionised the whole business of commercial mushroom growing. Linfields’ adopted a new system of growing in trays which brought significant advantages, including the relatively easy dispersal of mushroom compost to all its nurseries. It enabled an enormous increase in mushroom production: by 1957, they were producing 7.5 million lbs per annum, having purchased Lyons Farm Nurseries in Worthing from H.A. Pullen-Berry the previous year, where some 4 acres of glass were converted to mushroom production in a matter of months. A cannery was set up at Thakeham in the late Fifties, but this was later sold with all the canning rights to Cerebos. Other nurseries were bought at Ashington and Sompting for growing mushrooms and tapping into the local labour market. The ‘Chesswood’ brand name was also introduced at this time. As profits increased, substantial sums were invested in building new blocks of mushroom houses and many of the old greenhouses were pulled down. By 1960, the company was acknowledged as the largest mushroom grower in Europe, using manure from its pig and poultry farms and elsewhere, and employing 600 people. Apart from mushrooms, roses, carnations, chrysanthemums and orchids were also being grown under glass in large quantities. A pig farm was set up, and large numbers of turkeys and broiler chickens were being reared by the late 1950s. One invaluable by-product of these enterprises was the manure, which was sent to the compost yard to be processed into mushroom compost. By now, only half-an-acre of tomatoes were being grown, but cucumbers were still being produced in some quantity whilst outdoor lettuces and strawberries were still significant crops in the summer. In 1966, in his capacity as Chairman of Gifford House, the home for disabled ex-servicemen in Worthing, Arthur hosted a royal visit from Queen Elizabeth the Queen Mother. 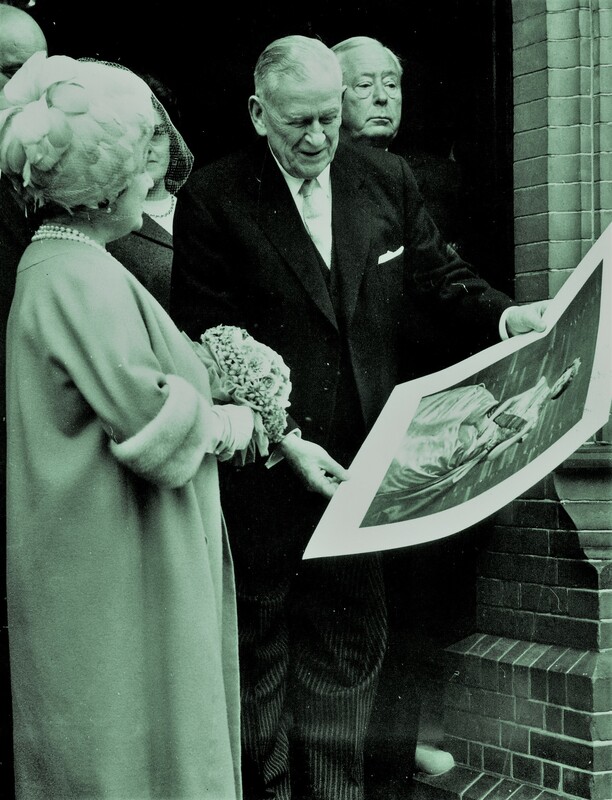 One of the most welcome visitors to the home, the Queen Mother was President of the charity from 1953 until she died in 2002 and would spend much of her time talking to the patients, or rather ‘the Boys’ as they were affectionately known. Another very welcome visitor was Dame Vera Lynn, the ‘Forces’ Sweetheart’, who came several times, with visits to the annual Open Day and other events. Well into his eighties, Arthur still attended the weekly Board meetings at Chesswood Nurseries and remained active in the family business. 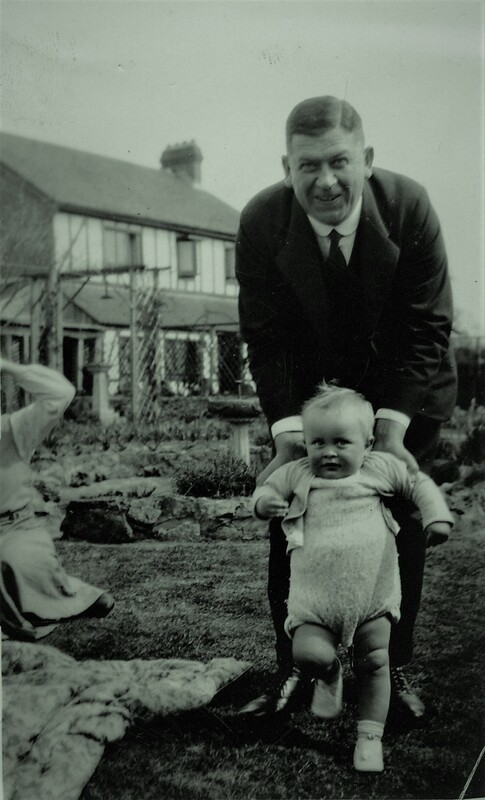 He gradually relinquished his various hospital appointments, but was still Chairman of AG Linfield (Holdings) Ltd. and Gifford House when he died at his home in Ashington on 14 April 1974. He was 88 years of age. He received an OBE in 1945 for his work on the Worthing Local Employment Committee, and a CBE in 1956 for his hospital work. His CVO in 1962 and his knighthood (KCVO) in 1974 were awards made personally by the Queen, in recognition of his services to the Royal Family as an advisor to the Royal Gardens at Windsor and Sandringham. Fig. 11: A portrait of Arthur in 1971 by well-known Angmering artist Juliet Pannett. A man with a strong Christian faith, Arthur always strived to help people in practical ways and was usually very effective in achieving successful outcomes. He was a good listener, able to appreciate another’s point of view, patient and tolerant: all skills which made him an effective administrator and leader.